Network Cabling - Voice & Data Technologies, Inc.
Voice & Data Technologies, Inc. cables are the foundation of your business communications. Your business needs a solid cable infrastructure designed to let you accomplish your main objectives. Voice & Data Technologies, Inc. provides complete installation of Structured Cabling by state licensed cable installers. 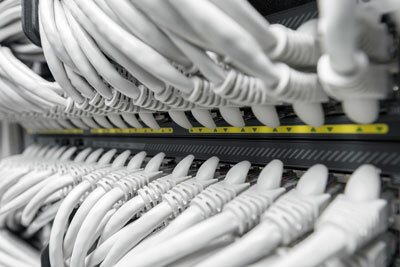 We provide a complete turnkey solution for your structured cabling needs. We have more then 15 years of experience in voice and data cabling. Cabling Installation in West Palm Beach, Ft. Lauderdale, Miami, Weston, Boca Raton and throughout South Florida. Copyright © 2015 - Voice & Data Technologies, Inc. All rights reserved.